I drew a mashup of Alexisonfire's self titled album with Kill la Kill's Ryuko and Satsuki. It's a confrontation inside the school grounds. 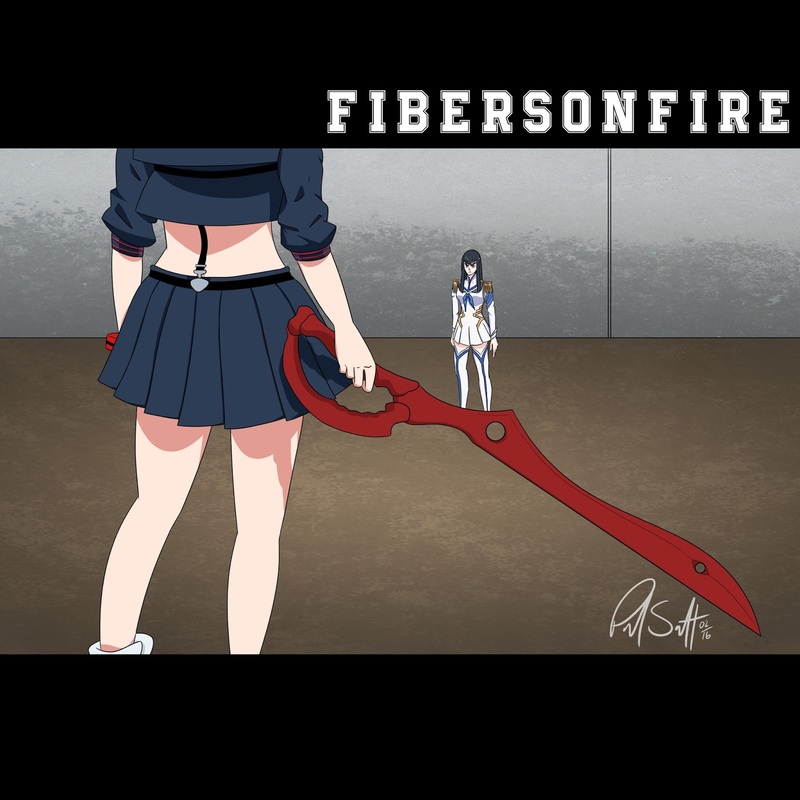 Kill la Kill's characters wear uniforms with special fibers that give them super powers, so I thought Fibersonfire would be a good title. Time-lapse video of me creating the drawing.